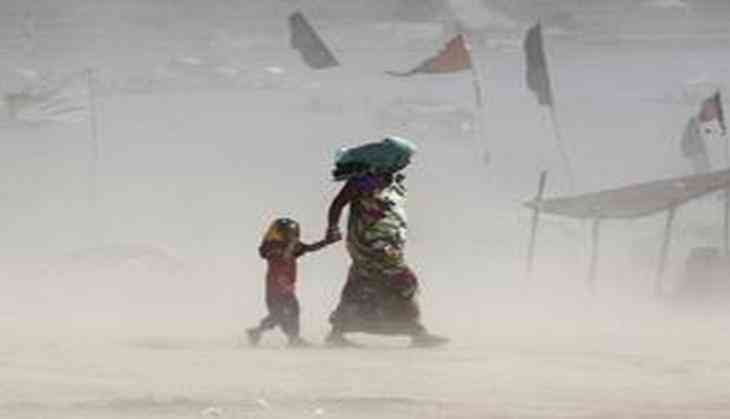 A new study has found that the mean temperature in India has risen by half a degree Celsius over a period of 60 years. This rise corresponds to 146% increase in the probability of deaths due to heat waves. This means that even moderate increases in mean temperatures may lead to large increases in heat wave-related deaths, notes the study conducted by researchers from Indian Institutes of Technology in Delhi and Bombay, along with University of California and Boise State University in America. Based on the findings, researchers have urged the government to put in more efforts to build resilience among vulnerable populations in regions with severe heat waves. In the years—1972, 1988, 1998 and 2003— when there were more than 10 heat wave days on average across India, there was a corresponding spike in heat-related deaths of between 650 and 1500 people. The substantial increase in mortality rates due to 0.5°C increase in summer mean temperature or two more heat wave days suggests that future climate warming could have a relatively drastic human toll in India and similarly in developing tropical and subtropical countries. The study is based on temperature data from 395 weather stations from Indian meteorological department between the years 1960 to 2009. “Our data will create awareness about the impact of rising temperatures in India on health, and this needs to be urgently communicated to the society,” pointed out Dr Subimal Ghosh, a member of research team at IIT Bombay. The research findings have been published in journal Science Advances. .
“Our results suggest that future climate warming will lead to substantial increases in heat-related deaths, particularly in developing low-latitude countries, such as India, where heat waves will become more frequent and populations are especially vulnerable to these extreme temperatures” the researchers have said. The research team included Omid Mazdiyasni, Amir AghaKouchak, Steven J Davis, Shahrbanou Madadgar, Ali Mehran, Elisa Ragno, Mojtaba Sadegh, Ashmita Sengupta, Subimal Ghosh, CT Dhanya, and Mohsen Niknejad.